THE NEXT FIND, FIX, FLIP WEEKEND IS COMING! Spend the weekend with Ian learning how to find, fix and flip homes in your area for a profit. This 2-Day seminar is only $699 and past attendees have turned this investment into a profitable flipping business. SO, YOU WANT TO FLIP HOMES? 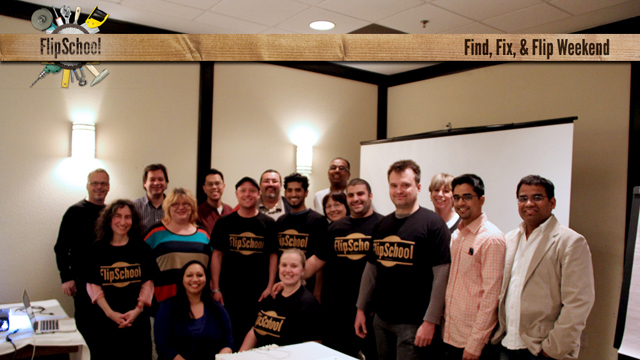 FlipSchool gives you hands-on, real-life education on the business of flipping homes for profit. 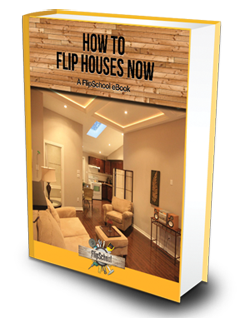 THINK FLIPPING HOUSES IS EASY? Think again. It’s much more than buying a run down home and hiring a contractor. Ian has worked on renovation shows on HGTV and W Network. He’s been flipping homes professionally for years. He’s been where you are now. Fill in the simple form below and you'll get this massive, comprehensive eBook delivered right to your inbox! from buying, renovating and flipping houses. A 2-day classroom-style workshop held over a Saturday and Sunday, from 9am to 5pm each day, walks you through the entire house flipping process – from find to fix to flip. Renovating and flipping homes is a difficult and expensive occupation if it’s not managed properly. If you’re in the middle of a project and need some help or advice, Ian’s your man. For almost a decade, Ian has been finding, buying, renovating, and flipping homes for a living. He’s been a showcased contractor on popular renovation programs on HGTV and W Network. He’s written 2 books on the subject with a 3rd coming out soon. The most compelling reason, though, is what people just like you are saying about FlipSchool. Ian’s story is pretty unique – from dealing with a learning disability in school to becoming a Certified Red Seal Chef at one of Canada’s premiere restaurants, to renovating and flipping homes for a living. That’s where Ian found his passion – flipping homes. His 2 books below talk about the processes he follows, tips and tricks, and all the things he’s learned along the way. Definitely a worthy addition to any home library or contractor’s front seat! 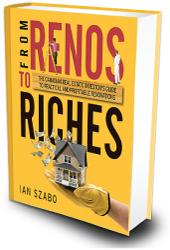 My first book helps you grow the value of your properties by increasing cash flow through the right renovations, doing the job right the first time, and building relationshops with tenants and investors. 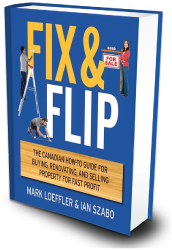 In my second book, as co-author, Mark and I build on From Renos To Riches and give more insight into the finances, scheduling, management to make your flips more profitable.